Rulers of Khurda were traditionally the custodians of Jagannath Temple and ruled as the deputy of Lord Jagannath on earth. They symbolised the political and cultural freedom of the people of Odisha. The British, having established their sway over Bengal Province and Madras Province to the north and south of Odisha, occupied it in 1803. The Gajapati King of Odisha Mukunda Deva-ll was a minor then and initial resistance by Jai Rajguru, the custodian of Mukunda Deva-II, was put down brutally and Jai Rajguru was torn apart alive. A few years later, it was the Paikas under Baxi Jagabandhu, the hereditary chief of the militia army of the Gajapati King, who rose in rebellion, taking the support of tribals and other sections of society. The rebellion started in March 1817 and spread quickly. Though Paikas played a larger role in the rebellion against the British, it was by no means a rebellion by a small group of people belonging to a particular class. The tribals of Ghumusar (part of present day Ganjam and Kandhamal Districts) and other sections of the population actively took part in it. In fact, the Paika Bidroha got the opportune moment to spread when 4OOtribals of Ghumsar entered Khurda protesting against the British rule. The Paikas attacked British symbols of power, setting ablaze police stations, administrative offices and the treasury during their march towards Khurda, from where the British fled. The Paikas were supported by the rajas of Kanika, Kujang, Nayagarh and Ghumusar and zamindars, village heads and ordinary peasants. The rebellion quickly spread to Purl, Pipli Cuttack and other parts of the province. The British were initially taken aback and then tried to regain lost ground but faced stiff resistance from the rebelling Paikas. Many a battle ensued with some victories to the rebels, but the British finally managed to defeat them within three months. Widespread suppression followed with many killed and imprisoned. Much more were tortured. Some rebels fought a guerilla war till 1819 but were captured and killed. Baxi Jagabandhu was finally arrested in 1825 and died in captivity in 1829. 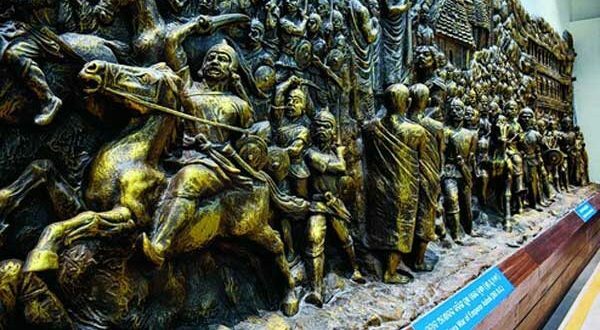 Though the Paika Bidroha enjoys a cult status in Odisha with children growing up with stories of the brave fight against the British, it has unfortunately received less attention at the national level than it should have got. While the reasons can be many for such scant attention to such a significant event of the history in India, it is heartening that the Government of India has decided to give the event its due recognition by commemorating its 200 anniversary in a befitting manner.